Few places on earth can match South Lake Tahoe’s spectacular natural beauty, making it a favorite choice for people who love to travel and explore the great outdoors through RV cruising and camping. Zephyr Cove Resort’s award-winning RV Park & Campground offers you the comforts of an outstanding facility — including bathrooms, showers, laundry, picnic tables, fire rings, bear-proof food lockers, and barbecues — within the serenity of the famous, alpine habitat and with clear, star-strewn skies above. One of the best parts of staying at Zephyr Cove’s RV Park & Campground is its perfect location – just a few minutes walk from Zephyr Cove Resort, including its restaurant, private beachfront, lake cruises, horseback riding, marina boat rentals, and gift shop, while remaining secluded enough to provide a wonderful nature escape. 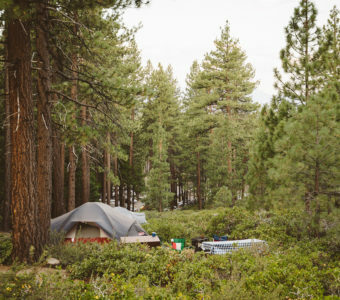 Whether you’re setting up at your campsite or enjoying the comfort of your RV campground, you’ll love this family-friendly, beautiful, one-of-a-kind Lake Tahoe destination.